Not many injuries are as misunderstood as traumatic brain injury (TBI). What seems like just a bump on the head can seriously disrupt a person’s physical, emotional, and social well-being. In the most serious cases, it can cause severe impairment and even death. The New York City traumatic brain injury law firm of Friedman, Levy, Goldfarb & Green understands the the serious effects that TBIs can have. Since these often mis-understood injuries can be overlooked or under-estimated, it is important for anyone who has suffered a brain injury – and their loved ones – to be aware of the signs of complications and stick to plans for follow-up care. A traumatic brain injury is a type of acquired brain injury. It typically results from a sudden blow or jolt to the head or when an object penetrates the skull. Mild damage can result in concussions while more severe damage can lead to physical disability, major cognitive impairment, and even death. Unfortunately, our traumatic brain injury attorneys know that it is not possible to know exactly how severe a TBI is just from the symptoms. It is important to treat any head injury as potentially serious and seek competent medical care, including all recommended follow-up appointments. It is important to treat even a seemingly mild TBI as potentially more severe. Some side effects may not appear right away. Others can actually last for a prolonged time and have detrimental effects on a person’s ability to function. The importance of follow-up care cannot be stated enough. What initially seems like a minor concussion can actually be much more serious, leading to future complications. In some cases the incident leading to a TBI may have been truly unpreventable. But in other cases, like many auto accidents or assaults, another party is at fault. 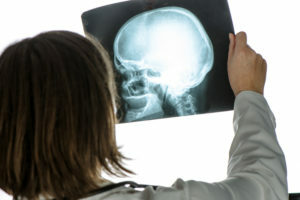 If you suffer a TBI and there is any chance another party may be liable, it is important to consult with a brain injury compensation lawyer at Friedman, Levy, Goldfarb & Green as soon as possible; a traumatic brain injury lawsuit could provide the necessary compensation to pay for your medical bills and other losses related to the injury but state laws limit the amount of time you have to take action. Treatment varies based on the severity of the brain injury. For a mild TBI, it may only involve rest and over-the-counter painkillers to treat a headache. In these cases, the patient may gradually return to activities as symptoms improve. However, it is very important to watch for signs of a more serious injury. Recovery can require an expert medical team and significant financial resources. It may take years, and in some cases the victims are never quite their “old selves” again. The TBI lawyers at Friedman, Levy, Goldfarb & Green can help ensure you have access to the resources needed for recovery for as long as you need it. Our TBI lawyers have witnessed first-hand the physical, emotional, and financial devastation that a brain injury can cause. Insurance payments are not always enough; the physical and cognitive impairments can prevent victims from holding down the kind of work they did before their injuries. Often, a TBI lawsuit provides the compensation necessary to meet the financial obligations that result. To win a TBI lawsuit, a victim needs to be able to show that the defendant acted carelessly or intentionally, or failed to act reasonably, and that this action caused the accident and injuries. The team at Friedman, Levy, Goldfarb & Green works with a team of professionals such as doctors and other professionals like experts in body mechanics to help a jury understand how the injury occurred, and accountants to explain the financial impact it has. A TBI can occur in an instant but cause impairment that lasts for years. This is not something you need to go through alone. Whether you are located in Manhattan, Brooklyn, or on Long Island, the team of TBI lawyers at Friedman, Levy, Goldfarb & Green are here to help. We understand the effects of TBI and will fight for maximum compensation to aid with your recovery. 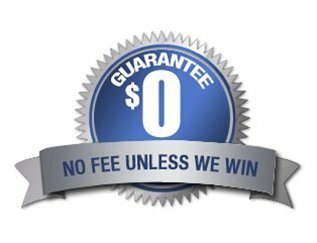 Call today to schedule a free confidential consultation.